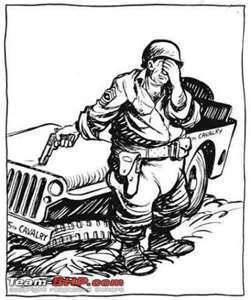 Bill Mauldin must have seen the same newspaper photo I put into the last post. 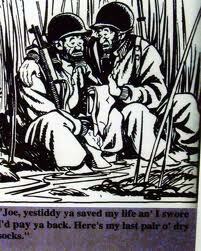 His cartoons helped to keep moral high among the American G.I.s. Each regiment was given an assigned area to cover. The 511th was given the Yokohama-Tokyo road; the 188th went from Atsugi to Fujishawa and the 187th held the perimeter of Atsugi airfield. Each zone maintained both motorized and foot patrols. The Antitank Company was to care for the Allied POWs that continued to show up and the band would perform for the former prisoners. 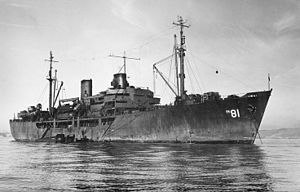 The 187th regimental command post was in the Japanese Naval School, but rumors had it another move was in the wind. Generals Wainwright and Sir Arthur Percival, after being held in a POW camp in Mukden, Manchuria, were flown to Manila. MacArthur ordered them to Tokyo so they would be present at the surrender signings. 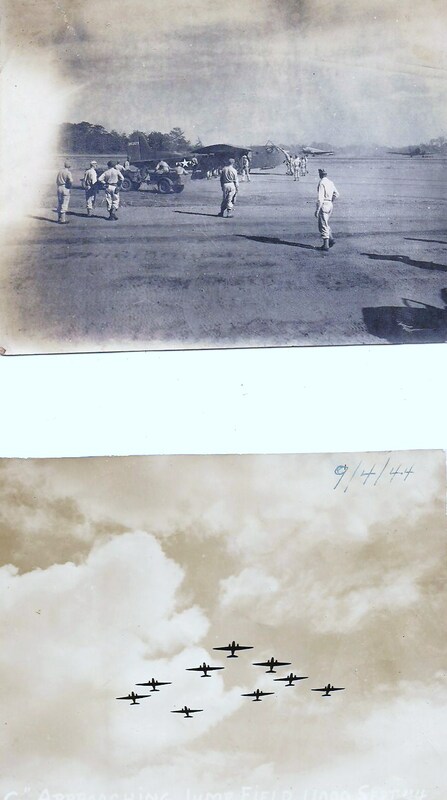 They landed at Atsugi on 31 August. As you can see from the photo that newspaper pictures that sit in a scrapbook for 68 years do not always appear clearly, but I could not resist including this particular one, even though, the 11th A/B troopers were forced to eat some crow when the Calvary hoisted the United States Ensign and the band was forced to play the anthem. From 31 August until 2 September, (3 Sept. in Japan), hundreds of Allied warships pulled into Tokyo Bay. Along with the Missouri, the South Dakota and the British battleship Duke of York were present. 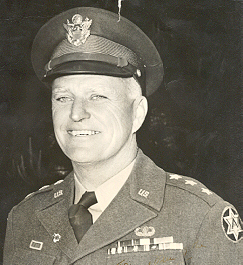 A FAREWELL SALUTE – Major Thomas C. Griffin (1916-2013), was a navigator for Lt. Col. Jimmy Doolittle’s raid on Japan. 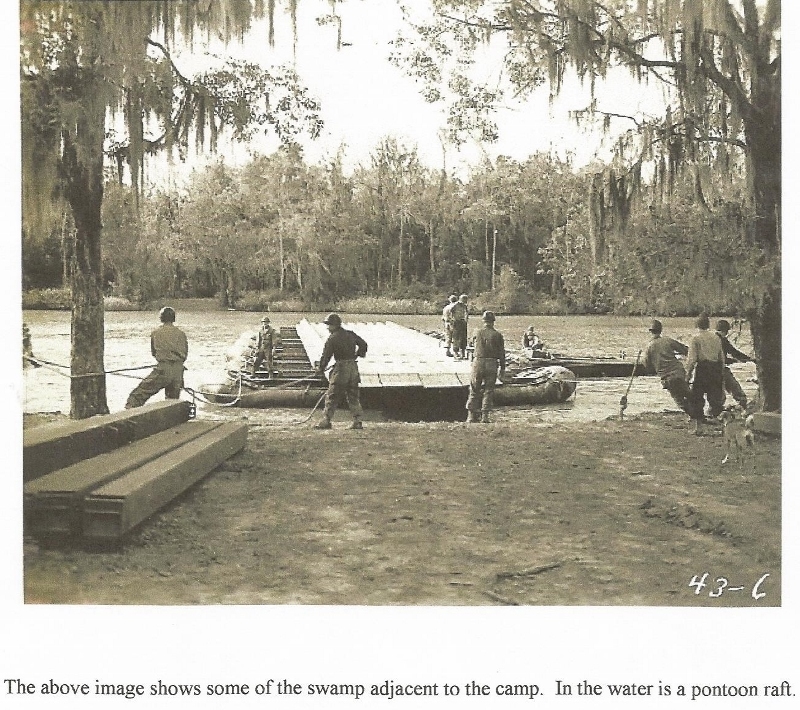 He and 80 other volunteers were told it was “extremely hazardous” and considered a suicide mission due to lacking enough fuel to reach a safe return. But, the 16 B-25 bombers took off from the USS Hornet 18 April 1942 to put their mission into action. 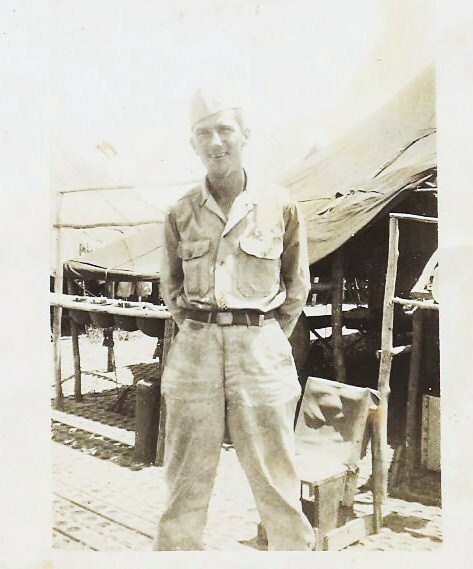 Many of the men were captured, but Maj. Griffin successfully parachuted into China. This month, the four surviving veterans of the Raiders will meet for the last time and finally open their bottle of 1896 cognac, that Doolittle bought before his own death, for the men to toast the 80. 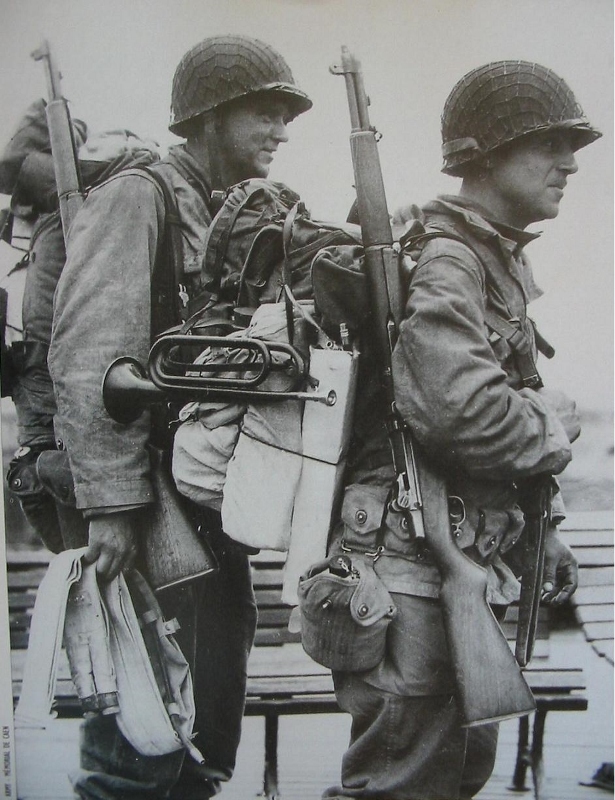 Resources: Rakkasans and Angels: A History of the 11th Airborne Division, by E.M. Flanagan; Everett’s scrapbook; The Week newsmagazine; Bill Mauldin cartoons. 22 November 1944, the 11th Airborne Division received orders to relieve the 7th Infantry Division along the Burauen-La Pag-Bugho line and destroy all enemy on their way and in that sector. While the 77th and 32d divisions converged on the valley, the 11th moved into the central mountain pass from the east. 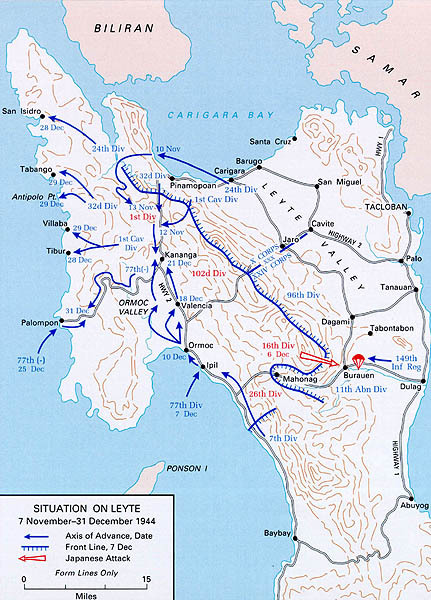 During this time on Leyte, the 11th A/B was under the command of the Sixth Army. Field Order Number 28 instructed them to continue through a very rough and densely forested area called the Cordillera. The rainy season dragged on and on and the mud not only caked on their boots (making it difficult to walk), but it ate clear through the footwear within a week. The uniforms began to rot away. The men were quickly beginning to realize why the natives wished to be paid in clothing rather than food or cash. One part of the Headquarters Company was left guarding the perimeter of Mawala and the remainder of the unit went upstream to Manarawat to defend that perimeter. 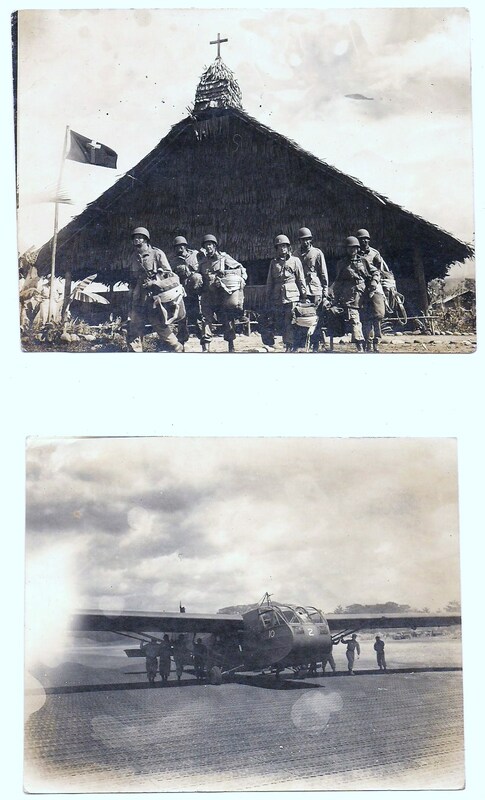 Here, the 221st Airborne Medical Company, with two portable surgical hospitals, took nip-thatched huts and lined them with parachutes. 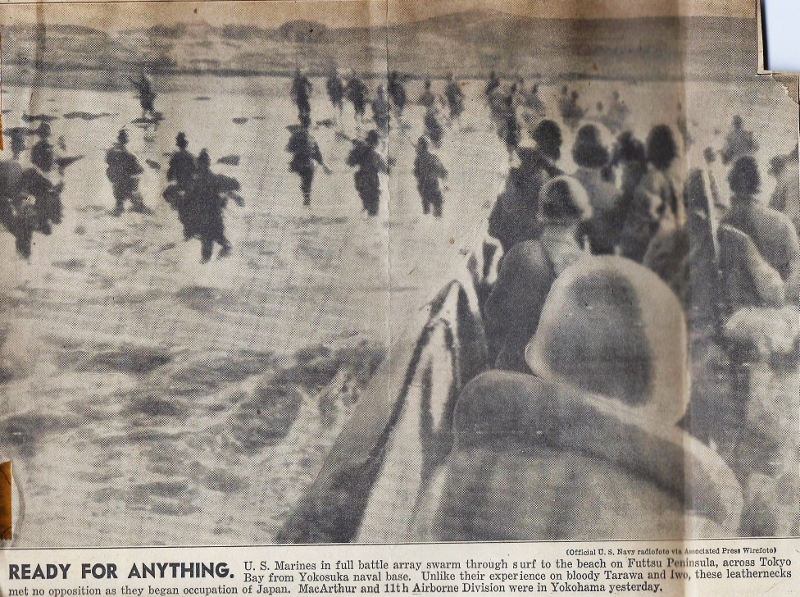 Despite the trials and tribulations of the troopers after they landed between Abuyog and Tarragona just four days previous, they proceeded in their mission to relieve the 24th and 37th infantry divisions. 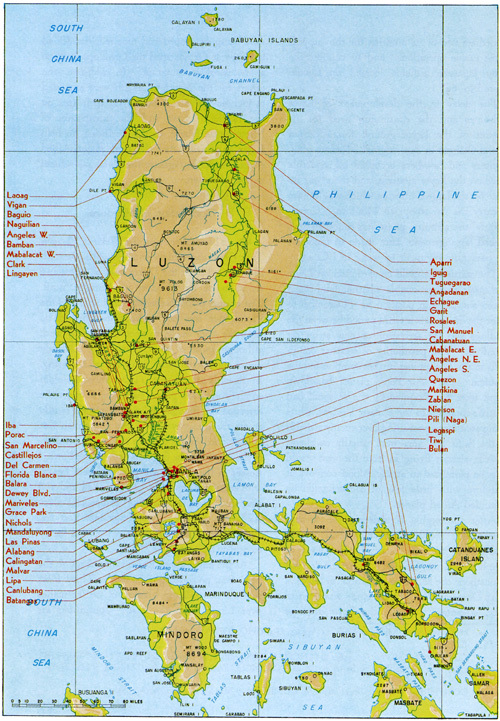 Considering the advances the U.S. forces had already gained, especially at the ports and airfields, the Japanese Imperial Headquarters sent an edict to their troops demanding the destruction of Dulag and Tacloban airstrips. 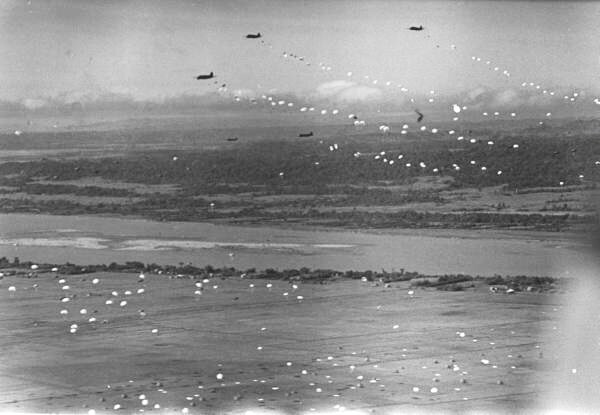 Japanese paratroopers immediately set out to jump on the Burauen airstrip; some missed their targets and landed on other airstrips. 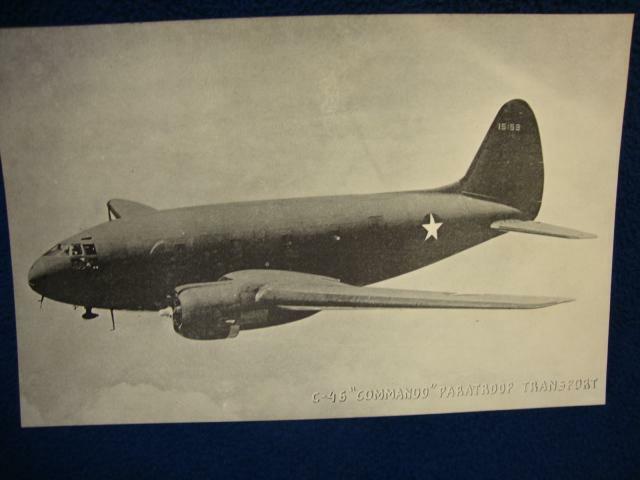 At approximately 1800 hours on 6 December 1944, the American troopers heard and sighted Japanese bombers circling San Pablo airfield, but only a few bombs were dropped. Shortly afterward a large “V” of transport aircraft went overhead flying at 700 feet and 300 paratroopers of the Katori Shimpei Force landed and spread out. The Japanese command had named this operation, Te-Go. The Americans were taken by surprise. 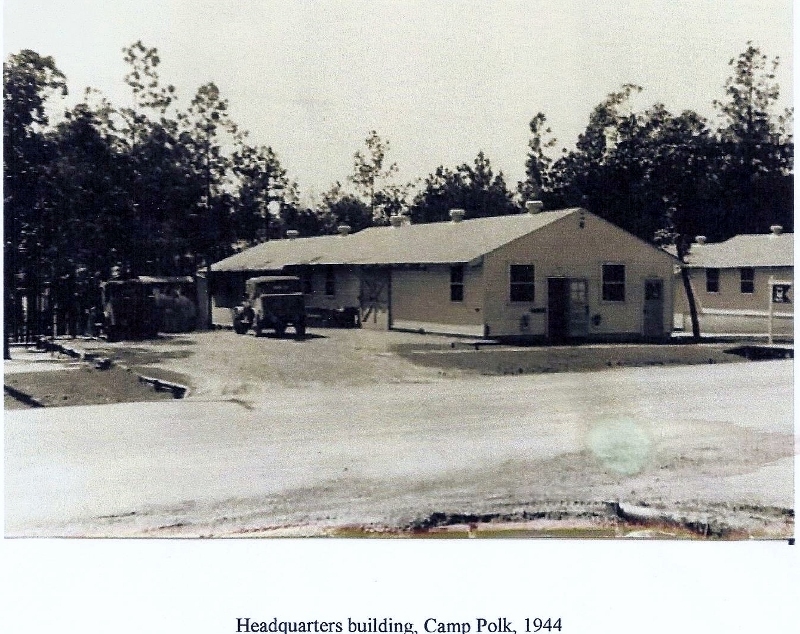 The only units stationed at the airfield were the 127th Engineers, the Signal Company and Headquarters Battery of Division Artillery. 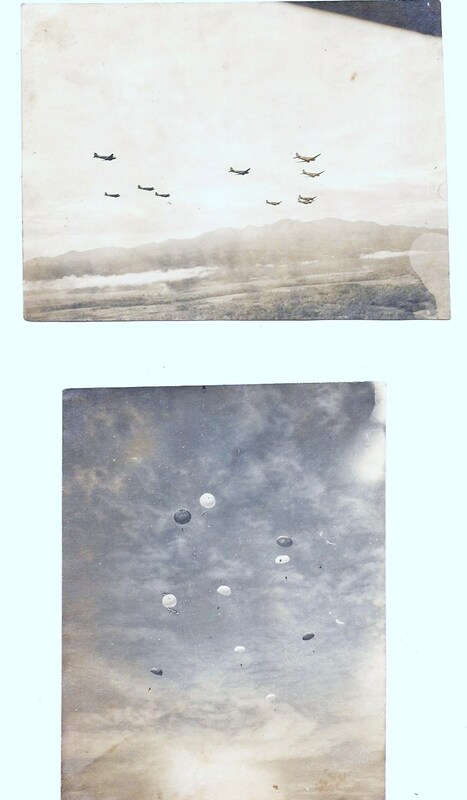 Many of the Japanese troopers died or were wounded when they jumped on Leyte due to a flaw with their quick release style parachute. Some of the men were being released 400 feet above the ground only to watch the earth rise toward them in their last seconds of life. 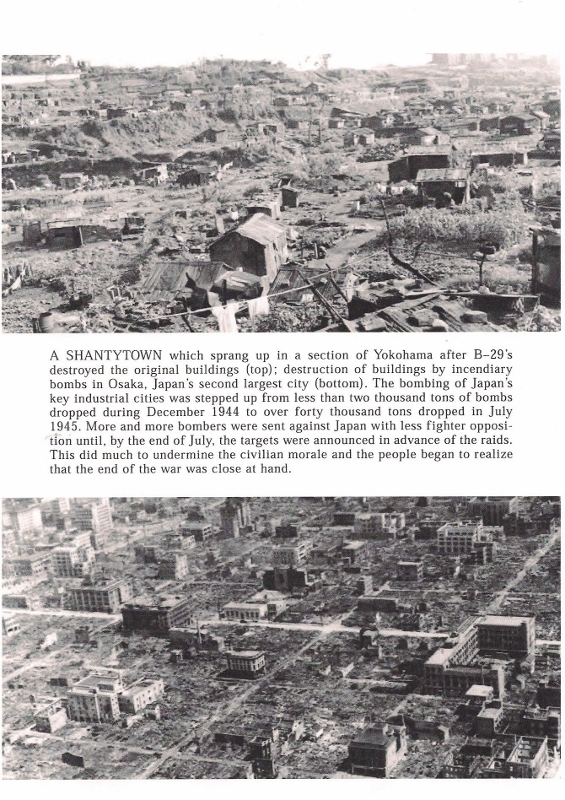 Nevertheless, this did not stop the Japanese or even slow them down. The enemy troopers commenced at once to set fire to the planes and supply dumps, but they appeared to be less than organized. 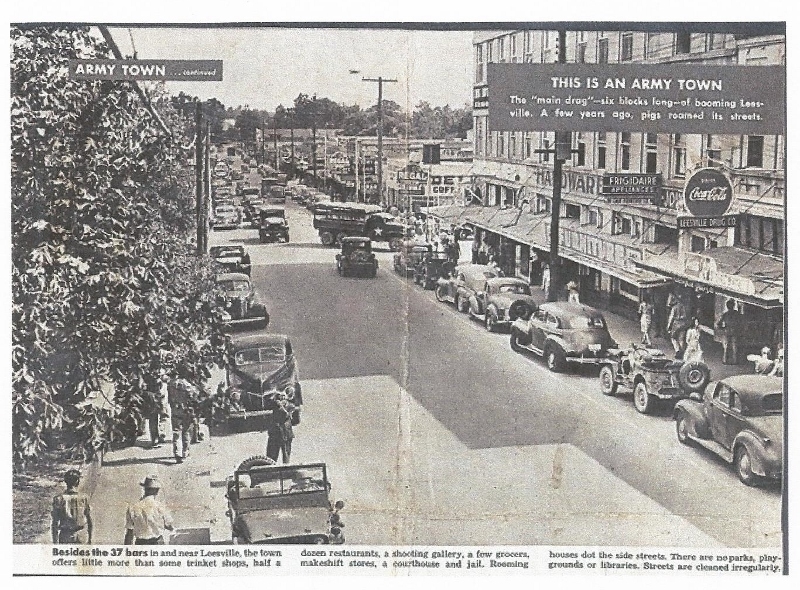 Colonel Hildebrand arrived on the scene with the 187th RCT and the 674th Field Artillery division and they began to clear out the area. Many of the Japanese escaped into the jungles. Back in the states, people were still dancing to the tunes of The Dorsey Brothers, Count Basie and Artie Shaw. They listened to the songs of Doris Day, the Andrew Sisters, Lena Horne and Rosemary Clooney. 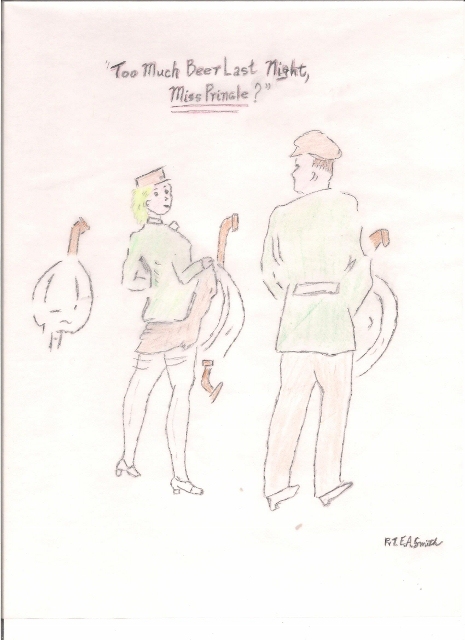 But, some others weren’t so lucky, in the army there was always latrine duty, as depicted in the following letter from Smitty. Many are the times you have heard me refer to the latrines. Never before had I any conception or realized the amount of genius and mathematical figuring that was necessary for the building of one of these casual looking comfort stations. 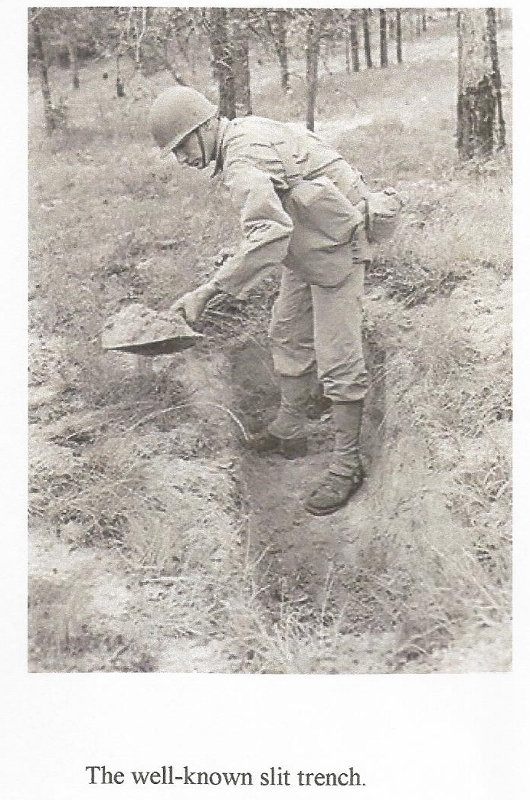 Yesterday I had the dubious honor of being selected, with four other disgruntled G.I.s, to labor on a detail whose sole aim and mission was the digging and building of a latrine. It seems that in order to get a latrine built correctly there also has to be present a lieutenant and a hard to please sergeant. 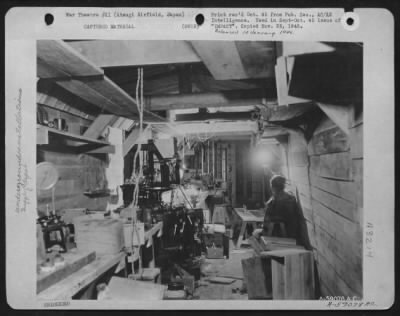 Their presence is essential due to the fact that if they weren’t around, it would never get built, no less started and to supervise the completion and finesse details of the finer points necessary for sanitation and the comfort of the men. You can most generally find these two worthy in some far off spot, away from all the work. To begin with, a place is chosen suitable for a latrine, generally about a half mile from the nearest inhabitant and well hidden in the brush and woods. 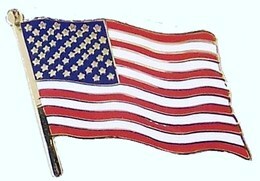 This is done for the very simple reason that it affords the stricken G.I. a chance to brush up on his long forgotten tracking and compass reading lessons, also the hike involved tends to make up for the many he has missed. You pick up your shovels and picks and gloomily get to work. First, the picks are put into play loosening up the stubborn ground. Then, the shovels get to work removing the loose dirt, making sure to pile it evenly around the hole. This procedure is followed until finally you have now a hole six feet long by five feet in width with a depth ranging anywheres from six to eight feet. Try as you may to dig less than six feet, the sergeant always has a ruler handy which he guards with his life. 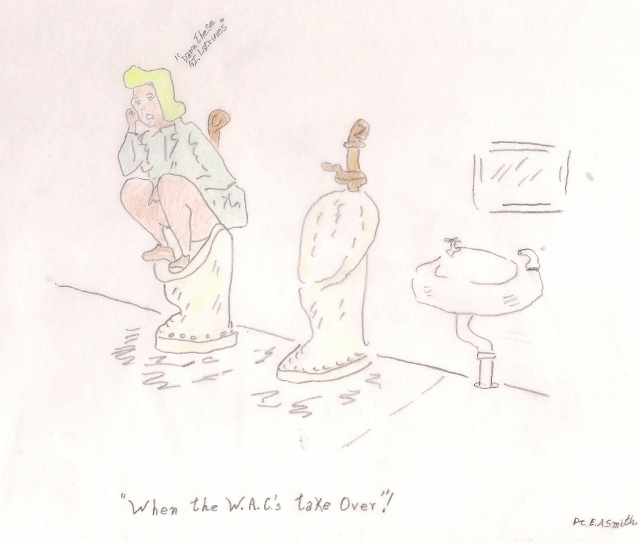 One would think that a latrine hole that size would last forever, but as I found out, in the army — they don’t. Next step is to lower into this hole oil drums whose both ends have been removed. This end cutting process is something foreign to us as they had another detail doing that the day before. I understand though that it is a highly skilled job in that keeping the ax blades from chipping is quite a problem. These drums, once lowered and set side by side, draws to a close the crude laborious end of the job. Boards, saws, hammers and nails now appear along with some overbearing would-be carpenters. They proceed to build a coffin-like box which looks more like anything else but a box. This affair, when finished, is fitted over the hole, covering completely the hole and part of the piles of loose dirt spread around the outer fringe. This type of latrine box is called the settee type. It is very comfortable to sit on if rough boarding isn’t employed. When the box is completed to the satisfaction and sitting height comfort of all present, holes are then cut in the top. These holes are oval in shape, but of different width and shapes. The rear end of a G.I.’s anatomy, I’ve found, has many varied shapes and sizes. The next thing to put in an appearance is the latrine blind and screen. This is very simple, although at times men have leaned back into it and got tangled up in the canvas, bringing it where the blind should be. While the blind is being put up on a long pipe, funnel-shaped at one end comes up and demands a lot of detailed attention. The height of this pipe, when set, is a trial and tribulation to all and never satisfies all who use it. This funneled affair is intended for what all funnels are. The directing of a stream of water. The Lt. and sergeant now come out of hiding, inspect it and proclaim it a job well done and worthy of their time and supervision, strutting off gaily chatting, leaving us to find our way alone, unguided and without a compass, back to our tents. We, in the building of this latrine were fortunate in that we only had to erect it once and it was the correct position. Generally, you dig three or four only to find out that it is out of line somehow with the next latrine a mile away. Generals, colonels and majors all visit while you are at work. Their presence is also needed for the fact that when they are around, you stand at attention and in that way get a moment’s rest. The captain generally comes out to see how you are doing and always tells you to hurry it up as the boys back in camp are prancing around like young colts and doing weird dance steps all the while hoping that they can hold out until its completion. When once finished and back in camp, you are kept busy giving the boys directions as to where it is and then have to listen to them gripe about the distance away from their tent the blame thing is. 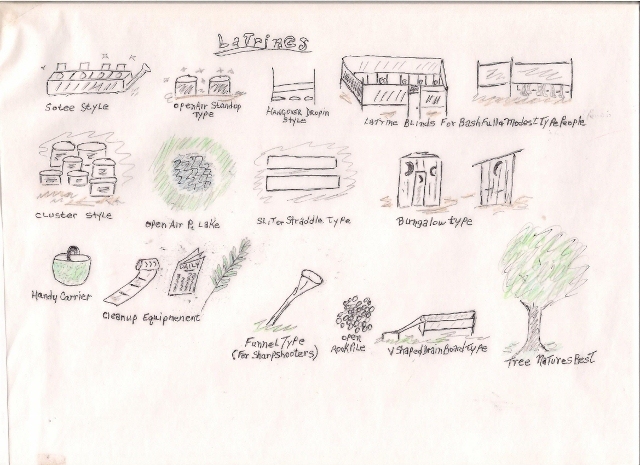 It is, I have found out, a thankless detail and one I intend missing the next time there is one to be built.There are of course different types of latrines as the illustrations show, but most of those are for troops on the move. Now, why they should say, ‘troops on the move’ I do not know, for certainly no matter whether in the latrines or on the wat to it, you are most certainly moving. 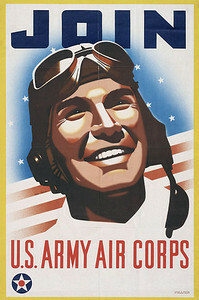 Before any G.I. finds the latrine, the flies are already there. No latrine is a latrine until after a family or two moves in. They too are necessary in that without them as an annoying element, some men would never leave, others would fall asleep, while others would use it as an indefinite hiding place from some hike or detail. Latrines are also necessary for rumors. Until a good latrine is built, rumors around the camp lay dormant. Many new and strange acquaintances are made and the souls of many a man have been saved while sitting in this sanctuary place of appeasement. 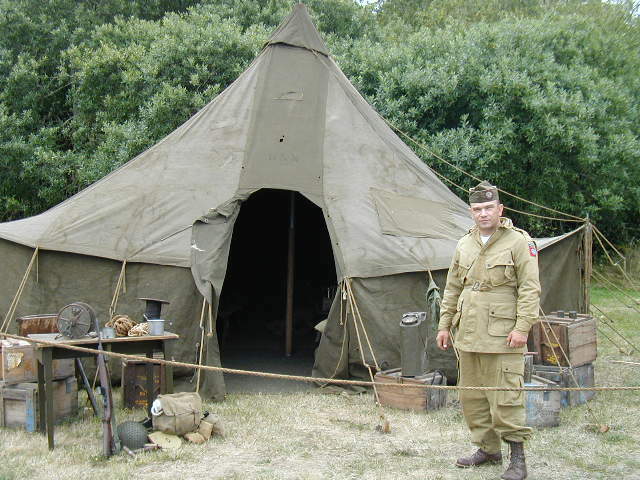 No place in the army gets the care and attention of a latrine. Orderlies are assigned daily to see to its cleanliness. Medical inspections are twice a week, while on Saturdays it has to stand a general inspection. It is the haven of good-fellowship, conversations and a relief to all men in the end. Hoping I have portrayed for you the army’s version of a rest station, I’ll close, as the flies in here are very annoying and the fellow standing and waiting for me to leave is going into a rage and walking up and down all the while eyeing me up and down as if to kill. Smitty did not write home about his experience with the showers. (Unfortunately, I do not remember which island this story occurred on.) He was coming back into camp after having a nice cold shower. He walked back with a towel wrapped around his middle and held it closed with his left hand. The jungle appeared quiet except for the buzzing of the insects whizzing around him. He said, “You know how annoying just one mosquito can be when it’s hovering by your ears. This was like a swarm and I tried like hell to use my right hand to swat them away from my face. When I began to approach our tents there was not one man to be seen and I couldn’t imagine where they all went. As I got closer I could hear the G.I.s yelling and they were waving their arms as they crouched in their tents, but I couldn’t make out what they were saying. Besides, I was too preoccupied with swatting the bugs. When I got back to my tent complaining about how aggravating the bugs on the island were, I asked them what all the hooting and hollering was all about. All they kept doing was checking my skin and asking if I was alright. Somebody yelled, ‘Those were no jungle bugs — that’s shrapnel!’ When they discovered that I had been hit, someone happily said that I could put in for a Purple Heart. Letter XII – You think you’ve got problems? The 11th Airborne Division, still in New Guinea and continuing to specialize their training are coming closer and closer to their time for combat, unbeknownst to them. Their commander, General Swing, awaits the word from General MacArthur. Dear Mom, We will start off first with “Webster’s” definition of the word — problem. “A question for solution, and a proposition to be demonstrated.” This is all very true, only in the army, although it is demonstrated, it never turns out in a satisfactory solution. For some unknown reason, the hint of a problem soon-to-be gets around long before it is ever officially announced. When once you hear about it, you begin to wonder just how you will get out of going and wonder if going on sick call will help. The best thing is to try to get on some detail, but generally, the details floating around loose at that time are of such a nature that going on the problem is much easier. No one likes or cares for problems including the officers and non-coms, except maybe a few who are bucking and hope to show their leader that they have tactical and sure-fire P.F.C. abilities. No matter how easy or simple the problem, you always have to carry around a load of unnecessary equipment. On the day set forth for the problem they put up a list of the stuff you are to take with you. After an hour or two spent trying to get everything into the pack, just big enough to hold a pair of socks, a tent, poles, rain gear, poncho, insect repellent and your toilet articles, you are pretty well tired out and lie down for a few minutes rest. You no sooner do that than the sergeant will come around with a revised list of equipment and again you unpack and re-pack. This goes on through the day until finally in utter despair you pick up your duffel bag and carry that on your back. Finally the whistle blows. You hurriedly put on your pack, pick up your rifle and dash to fall in the formation forming outside. After standing there for 30 or 40 minutes, you realize that all your rushing was in vain and that you have a chance to untangle yourself from the pack harness and straighten it out. You no sooner start to do this than the order comes to pull out and get going. While marching out, it suddenly dawns on you that a quick visit to the latrine would have helped, but is now impossible to get to. After walking for two hours, your pack feels like a ton and your five-pound rifle now weighs twenty. The heat is slowly getting you down and you begin to wonder, is it all worth it? Soon the Lt. comes prancing alongside of you and walking just as easy as falling off a log. He says a few words to you, such as, “Close it up.” “Keep in line” or “How you doing fella?” as he passes by. You wonder how the devil he can keep it up, until you take a good look at his pack. Many are the times when I wondered what would happen if I stuck a pin in it. Wonderful things these basketball bladders. When finally you arrive at the next to last stop, the Lt. calls his men around him and proceeds to try and tell them what this problem is about and what we are supposed to do. We are all too tired to listen in the first place and in the second place — don’t give a damn. All this time you watch the Lt. and soon you realize that he didn’t much care for the problem and is probably just as annoyed as you. When you finally hit the place where the problem is, confusion takes over and the problem is started. Orders are given and not carried out, cause generally the G.I. has been told before to do something else, so that by the time order is restored, all is in a worse shape than before. The Lt. takes out a map to try and locate himself and is only to find that the map he has is the one relating to last week’s problem. No matter, from then on, where the C.P. and assembly area were to be, now, wherever you are at that particular moment will become the C.P. and assembly area. If the rest of the company was fortunate enough to locate the right place — the hell with them — let them find us. You are then assigned to different spots and told to dig in. Now, digging in calls for some thought. If you just dig a slit trench, it doesn’t call for much work, but you can always be seen and so you can’t sleep. But, if you dig a larger hole, called a foxhole, you can safely sleep away the night and also — the problem. Myself? I go for the foxhole on the slit trench side as it affords me the opportunity of sleeping in a horizontal position. Soon the whistle blows announcing the end of the problem. You awaken to find that it is the next day and that once again you slept through the whole mess. Questions are asked as to who or what side won, did the enemy get through and a thousand and one others. Before leaving the place, you now have to shovel the dirt back into your hole, as leaving blank open holes around are dangerous to life and limb. When that is completed, you put your backpack back on and trudge your weary way back. Upon arriving back in camp, critiques are held and then you find out what you were supposed to have learnt while you were out there. I have always been of the opinion that if critiques were held before going out, it would save us all a lot of trouble and also make going on the problem — unnecessary. Once back in your tent, you unpack and think that now you will lie down and have a little nap, only to find out that the detail you tried to get on in order to miss the problem has materialized and that you are to get up and get on it. Oh, weary bones, will they never have any rest? Don’t give up, for after all, the war can’t last forever. One thing you can always count on though, problems are the pride and joy of the army and will continue on being as long as there is an army. Hope I’ve confused you as much as we are. I’ll leave you as that damn detail has come up and so I’ll have to carry my weary body out and hope I last out the day. But training goes on …..